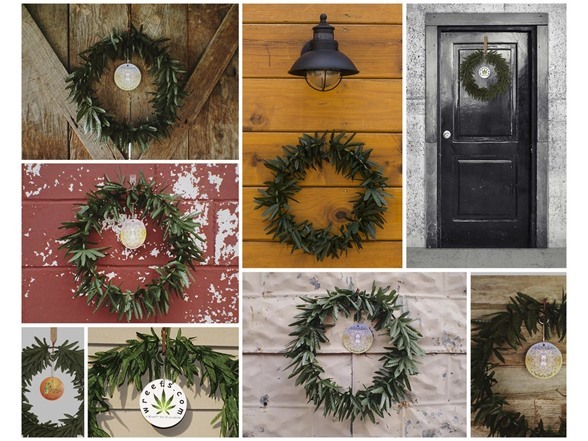 Not just for Christmas, this 420-friendly wreath by Wreefs™ can be displayed all year long. Perfect for a door hanger, man cave, media room, and more. 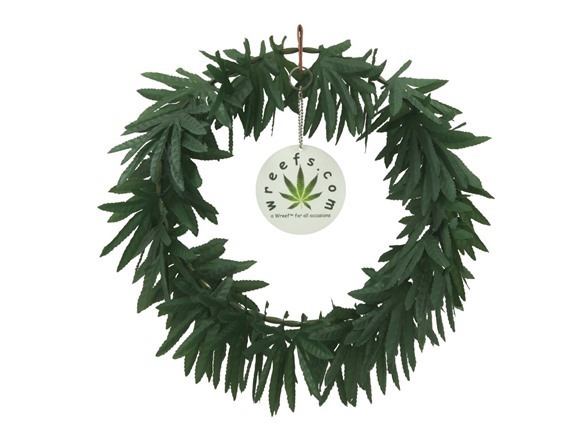 The Wreef™ brand wreath is designed a bit sparse in build to retain the look of recently harvested and drying marijuana leaves and is created using wood beads and artificial leaves made of a durable woven polyester fabric for indoor or outdoor use. 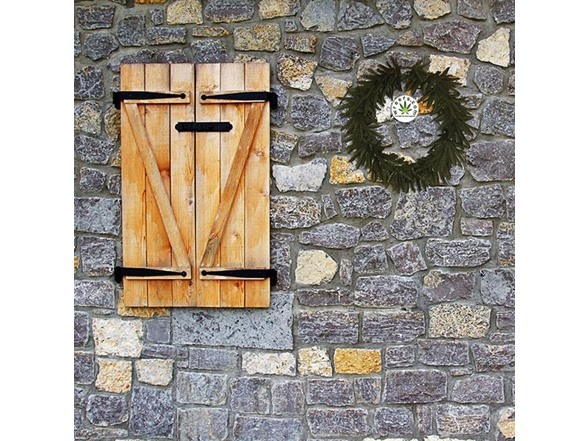 The wreath is 12 inches in diameter with a unique leather hanger strap that allows adjustment & hanging from a nail, screw or "monkey hook." 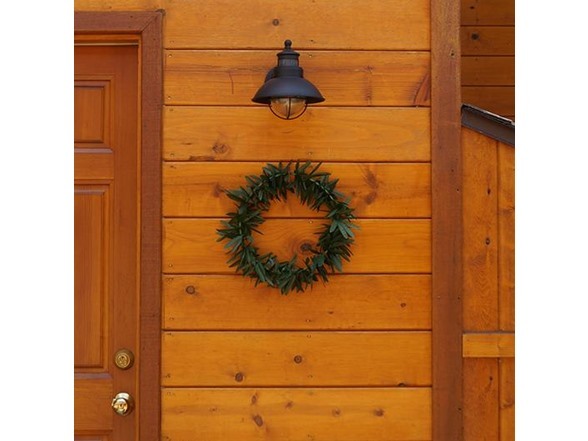 NOTE: Due to packaging and shipping you may find that your wreath may seem a little squished upon arrival. 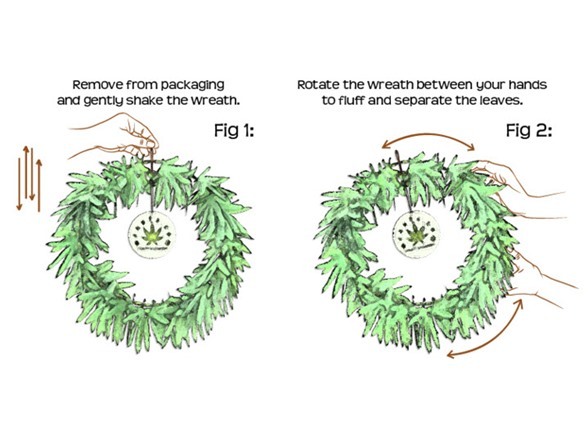 No worries, just remove the wreath from the packaging and give it a little shake, fluff and primp. IMPORTANT: This is NOT a toy. It is for decoration only. DO NOT smoke, eat or ingest the contents. Do not allow children or pets to play with the packaging or products. Shipping Note: Shipping to Alaska, Hawaii, PO Boxes, and military addresses is not available for this item.